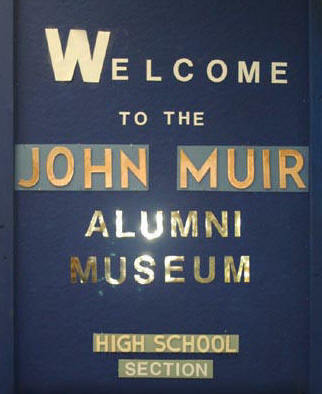 Mr. Zweers began what is now 1 of only 3 full-time high school museums in California and the only school with multi-exhibit rooms. Loren Shirar kept the dream alive for almost 20 years. Today, with your support, our current curator Pablo Miralles, will bring the Alumni Museum into the 21st Century with digital interfaces, sights-and-sounds, and newly discovered artifacts. Some of you have been extremely supportive to the museum, and now we really need more of you to step forward to help us with the improvements. So, right now, while it's on your mind, click the "Donate" button below and help make a difference. You can make a one-time donation of your choice or commit to a monthly give. We gladly accept your donation at any level. And remember that your donations are tax-deductable.